Selecting a residence management company for your luxury property is an important decision. We understand your luxury residence is a significant investment, both financially and emotionally! We would be privileged to manage your residence to the level of excellence and quality you expect. With weekly residence inspections we are consistently monitoring the condition of your home and contents including appliances, HVAC, electronics, smoke detectors, alarms, lightbulbs and even the batteries in your remotes! Following our inspection we will send you a weekly status report noting anything that may need attention to keep your residence in impeccable condition. Upon your approval, we will schedule and supervise service with qualified, reputable, local vendors- experts- specific to the needs of your home. 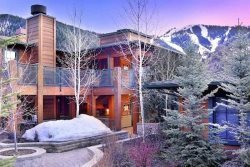 Planning a visit to your Sun Valley luxury residence? Give us a call and take advantage of our first class concierge services. From washing and fueling your car, to stocking the fridge from your grocery list, to event planning- nothing is too big or too small.